Great book. Very inspiring and uplifting. 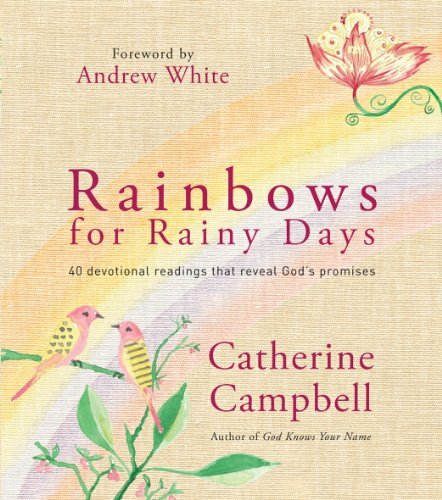 Note: The book's full subtitle is "40 Devotional Readings That Reveal God's Promises." Through moving scripture and personal testimonies, Mrs. Campbell reveals the beauty of the truth of God's promises to us, His children, in the face of suffering. As these are merely brief devotionals, there are really no "moral" issues to speak of. This little book is a beautiful daily reminder of God's grace as we walk with Him. Each section begins with a section of Scripture. Inspirational, uplifting and generally wonderful, Ms. Campbell's book is exhorting and encouraging...a must read for anyone who's ever been through grief. I dare you to walk away from this book with dry eyes! This review is brought to you by Kitti Kat.